The better part of a week has been spent interacting with David Murray’s book Christians Get Depressed Too. If you are new to this blog then you can read the overview post here, the 2nd post on five factors here, and the 3rd post on thought patterns here. Today I wrap it up by focusing on The Cures and make a few more observations. This chapter addresses four areas of life, which Murray calls “measures that should be considered parts of a ‘package’ of healing.” I explain each and tell you how I am trying to apply it, or where and why my view differs. Correct Your Lifestyle – calls for a balanced lifestyle that relieves the ‘stretch’ threatening our well-being. Included are routine, relaxation, recreation, rest, and reprioritization. As a regular reader of David’s leadership blog, I am trying to pay more attention to my body as part of Christian stewardship—something David regularly addresses. Lost 10 pounds. Extra weight is a “down factor,” which also contributes to sluggishishness. Significantly decreased my sugar intake, but not the flavor shot in my coffee. I simply can’t degenerate to that nasty-tasting, sugar-free stuff. Added fish oil (supposed to help all the brain stuff) and St. John’s Wart (supposed to be a mood balancer) to my daily vitamin regimen. I have not been courageous enough to drastically re-evaluate my commitments in order to relieve ‘stretch’ and reprioritize. Please pray for me to have courage to tackle this one. I have not added daily exercise. I despise it. However, I love to walk and need to put it into my schedule as a non-negotiable. Please pray for this too. Correct Your False Thoughts – Murray calls for viewing God’s world accurately. People who struggle with depressive-anxious tendencies commonly “magnify the negatives and exclude the positives.” Murray is a fly on the wall of my life, I’m sorry to say. Asaph, the writer of Psalm 77, is presented as an illustration of one whose focus was in error, which affected his mood. I recently used this as a springboard for my own personal devotions for three days and counseling homework, about which I posted comments. His application of Psalm 77 is worth the price of the book, which is very inexpensive. David Murray is a dirt-cheap counselor who has helped me to see things I had previously ignored. Correct Your Brain Chemistry – if the above assessments are not effective, Murray suggests seeking trained medical help in order to determine if there is a need “to restore depleted brain chemicals and pick up your mood sufficiently” . Caveat: I am currently not able to place the same confidence in the chemical imbalance theory. Though David Murray builds upon the “low-serotonin causes depression” argument common among Christian psychologists as verifiable fact, the jury is still out on this for me. I too have no medical training and respect God’s wonderful provision of medicine, but I presently understand there is no standard, “required” level of this chemical for normal human function. As a result there is no standard to measure against, which leaves this issue in the realm of the subjective and mysterious world of emotions, rather than scientific fact, which distinguishes it from other physical, organic problems such as diabetes or thyroid diseases. It is worth noting that there remains much difference of opinion in medical science on this issue. My own personal study of current research is limited. A recent post illustrating the differences of opinion can be read here at the Cripplegate blog. My position, quickly summarized then, is that as long as we are talking about physical problems that are truly organic in nature and, therefore, measurable and testable, we are free to make use of medical advancements appropriately as part of the provisions of common grace. Murray holds the same position. Though I am not yet convinced by the low-serotonin argument, as a reader of David’s HeadHeartHand blog I recognize that he has done, and continues to do, extensive reading on the “new brain science,” a claim I am not able to make for myself. We must all be honest enough to admit that the “unknown” factor is huge. We don’t know, and will never fully know this side of Glory, all the ramifications of how God’s curse upon sin has affected our bodies, including our brains. This is not classroom stuff for me! The ignorance factor touches me in deeply personal ways. If you are regular reader of this blog then you know a bit of what we are facing with one of our children’s delayed cognitive development. As we continue to wrestle with the complicated, and often very confusing and conflicting, conclusions of the medical professionals, who are also fallen and learning, I hope what remains in me is the same degree of teachability and openness to knowledge that I expect from others. Indeed, this created man (me) is anxiously longing for the revealing of the sons of God. Daily, I feel the reality of God’s subjection of creation to His judgment. This does not extinguish my hope in God, but gives rise to it—increasing my longing to be set free from its slavery to corruption (Rom 8:19-21). What a day that will be! Although Murray comes across as very confident of his position (why else take the time and guts to write a book if you don’t believe your position enough to stick your neck out?! ), he is a humble man who in personal conversation quickly admits he does not have all the answers and, like any honest author, knows his views could always be written more clearly and completely. As an author myself, I readily admit the same. It is difficult to believe any author can say everything there is to say on a subject—much less everything he would even like to say—in a 112-page book (wisely kept short for depressed persons). For myself, it is usually within just a few weeks after a book I’ve written comes off the press that I start compiling a mental list of things I wish I’d said differently, or more clearly, or more fully, while hoping the book sells well enough so that I can make changes to future editions. I’m not trying to put words into David Murray’s mouth here. I’m simply calling all biblical counselors to have Christian grace toward one another in areas where Scripture does not give us cause to be absolutely dogmatic, but instead leaves room for differences among those of us who claim equal love and dedication to the Word. Thankfully, the author of the Scriptures always says everything exactly the way He meant to say it and will never make any revised editions. The problem is with our fallen minds! I am, therefore, exceedingly grateful for Dr. Murray’s likeminded commitment to the authority of Scripture and his tender, pastoral yearning to apply it well to the hearts and minds of God’s people. Like me, he longs to be a wise soul physician. Correct Your Spiritual Life – in this section the author provides 8 practical suggestions that are helpful and, as I do, commends to you D. Martyn Lloyd-Jones’s book Spiritual Depression. 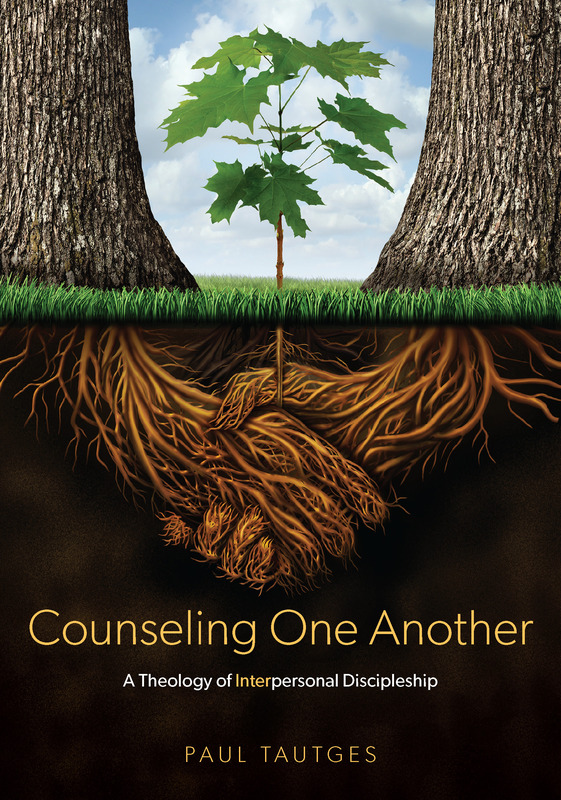 Caveat: I question whether “Nouthetic Counseling” and “The Modern Biblical Counseling Movement” have been accurately represented. While Murray quotes from several well-known leaders in the movement I’m not convinced he captures the fullest picture of their positions, which from my reading allow ample room for non-sin causes of depression as well as medical intervention. Perhaps this is just another example of how very difficult it is for any one author (all of whom are fallen and flawed) to say everything he can say on a topic within a limited space? “The Caregivers” is the title of the final chapter, which contains counsel to those who seek to help the depressed person. The author’s use of the terms “self-doubt” and “self-criticism” (he rightly means overactive criticism, not healthy self-examination) are better than his choice of “low self-esteem,” which could easily have been deleted. However, he is careful to explain himself in the following sentences, which follow a mention of our total depravity: “However, without minimizing the wickedness of the human heart and without denying our inability to do anything pleasing to God apart from faith in Christ, we should feel free to encourage depressed people to have a more realistic view of themselves by highlighting their God-given gifts, their contributions to the lives of others, their usefulness in society, and, if they are Christians, their value to the church” (95-96]. Murray is not calling for improper praise of men, but healthy affirmation of God’s work of grace in men, something the Lord has been teaching me this past year as I seek to apply Sam Crabtree’s counsel. Okay, I guess after four posts I’ve said enough. At the risk of redundancy, David Murray’s book has profited me much and I commend it to you with the clarification offered previously and the two caveats mentioned today. I already have a supply on hand in the counseling resource cabinet at my office. You can get yours from Heritage Books, Amazon, or Westiminster Books. Thanks Paul for a great interaction on the topic and with this book. Your caveats are gracious but necessary. Hope I get to see you this week at NI.EDU … I was reading another blog where NANC v. CCEF were compared incorrectly [they said NANC is non-integrationist and CCEF is 🙂 I think CCEF would object to that portrayal.] But you are right that in parsing out the details of the physical/spiritual there are at times more clear lines of demarcation and at other times not so much. The “imbalance” topic just does not go away, even though such a foggy topic. I don’t think I have counseled anyone from the community here in our area without that being in the discussion and the psychotropic drugs being involved. I am still in the process of gaining my congregation’s trust on these issues and so the Lord continues to give me opportunities to highlight what is physical and what is spiritual (including this past weekend with an emergency run to the hospital and its psyche people by a family that attends our church) with our own church. It seems to take a good bit of time for people to see it in action (it=sinful responses and idolatrous activity and ways of living that drive people over the edge into the abyss of lost control where they cannot help themselves). Thanks for your kind remarks, Dave. May the Lord continue to bless you as you shepherd His people with grace and truth, depending on His wisdom to navigate through the fog.